When the president of a Florida university's top African American fraternity is found hog-tied and drowned in a Suwannee River Valley swamp, his counterpart at a white fraternity is accused of the crime. Defense attorney Jack Swyteck investigates and finds uncomfortable parallels... read full description below. From the 2017 winner of the Harper Lee Prize for legal fiction comes a powerful and timely story of race, politics, injustice, and murder as shocking and incendiary as today's headlines. When the body of Jamal Cousin, president of the pre-eminent black fraternity at the Florida's flagship university, is discovered hogtied in the Stygian water swamps of the Suwanee River Valley, the death sets off a firestorm that threatens to rage out of control when a fellow student, Mark Towson, the president of a prominent white fraternity, is accused of the crime. Contending with rising political tensions, racial unrest, and a sensational media, Townson's defense attorney, Jack Swyteck, knows that the stakes could not be higher-inside or outside the old Suwanee County Couthouse. The evidence against his client, which includes a threatening text message referencing strange fruit on the river, seems overwhelming. Then Jack gets a break that could turn the case. Jamal's gruesome murder bears disturbing similarities to another lynching that occurred back in the Jim Crow days of 1944. Are the chilling parallels purely coincidental With a community in chaos and a young man's life in jeopardy, Jack will use every resource to find out. 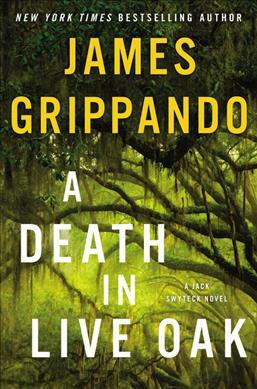 As he navigates each twist and turn of the search, Jack becomes increasingly convinced that his client may himself be the victim of a criminal plan more sinister than the case presented by the state attorney. Risking his own reputation, this principled man who has devoted his life to the law plunges headfirst into the darkest recesses of the South's past, and its murky present, to uncover answers. For Jack, it's about the truth. Traversing time, from the days of strict segregation to the present, he'll find it-no matter what the cost-and bring much-needed justice to Suwanee County.